Lot 705. BYZANTINE EMPIRE. Justinian II, first reign, 685-695 AD. 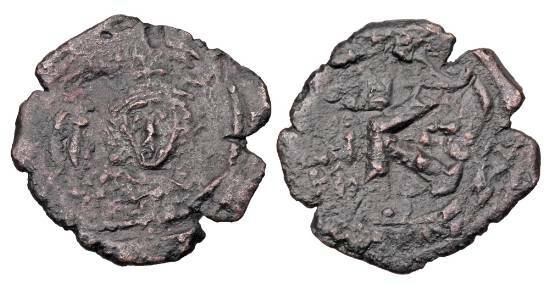 Æ Half Follis.